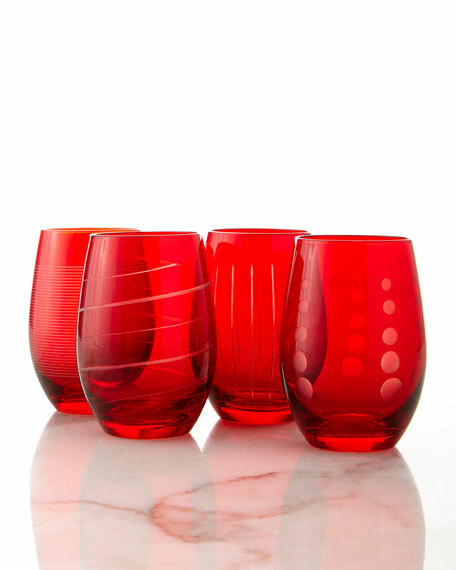 Each glass precision etched with a different design. Set includes one of each design shown. Each, 4.875"T; holds 15.75 ounces.